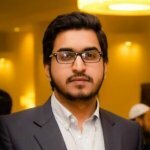 Saad is working as a Marketing Analyst in Cygnis Media. He has a good experience to develop marketing plans for the promotion of product and services. He always follows the new advertising and marketing trends to deliver best result for our company.